Dear NIX, Are Your Cloud Photo Frame Glitches Normal? So I bought a nixplay Wi-Fi Cloud Digital Photo Frame a week ago to display some of my countless unseen family photos at home. 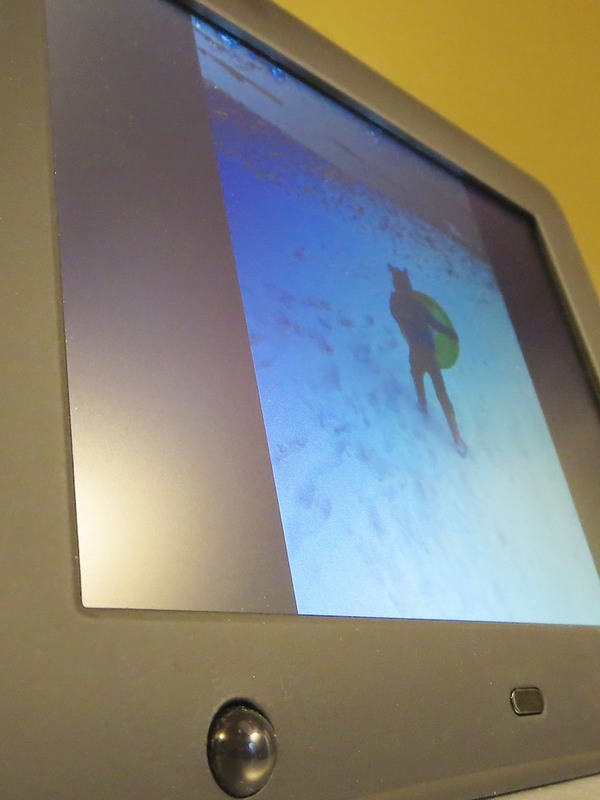 …I had some trouble getting the digital photo frame to work. The frame should quickly receive its photos from NIX’s cloud once you send them there, but I found that actual performance may vary. But before shipping the whole kit and kaboodle back to Amazon, I decided to give NIX an opportunity to troubleshoot my mediocre experience. Subject: I’ve had varying results uploading photos to my nixplay Cloud Frame. On my first attempt, the new slideshows didn’t show up in the frame for a couple hours, and then they remained empty until the next day. It wasn’t until that next afternoon when the photos actually showed up. Happily, tech support emailed back within a couple of hours. Yes, they would be willing to talk with me. At 2:17pm, a friendly nixplay nerd called me up to listen to my troubles. I reviewed my middling experience with their Cloud Frame. He zeroed in on the day my problems first occurred. Nixplay’s servers had an outage on Saturday… the very day I first tested my nixplay Cloud Frame. I asked how long it should take on any other day to upload pictures to the frame. Well, I guess the ill-timed server outage would explain the problem. Later, I did a speed test on additional picture uploads to the frame. It only took about 30 seconds. 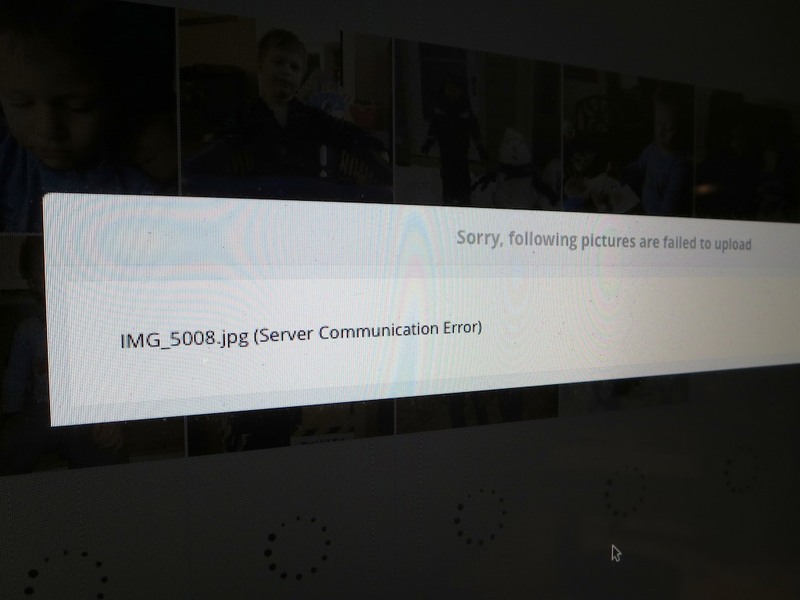 I then asked my new tech BFF about the ‘server communication error’ messages I’ve consistently received while uploading photos to their cloud, causing a few of them to disappear on their journey. He asked me if I was using Google Chrome as my web browser. He explained their platform is optimized for Google Chrome and suggested there might be a coding issue to blame for my Safari problems. After hearing him say this, I began sensing some secret connection to Google. Perhaps NIX sees a Google-dominated universe powered by Google Chrome and Picasa. And there was clearly no sign of Flickr integration anywhere. When I asked my tech bud about accessing my Flickr albums, he laughed nervously. So I guess my nixplay Cloud Frame is working properly after all. So I’ve decided to keep my nixplay Cloud Frame. As for the communications errors during photo transfers, I suppose it’s not really that big a deal to re-upload a few pictures. It’s just an extra step. 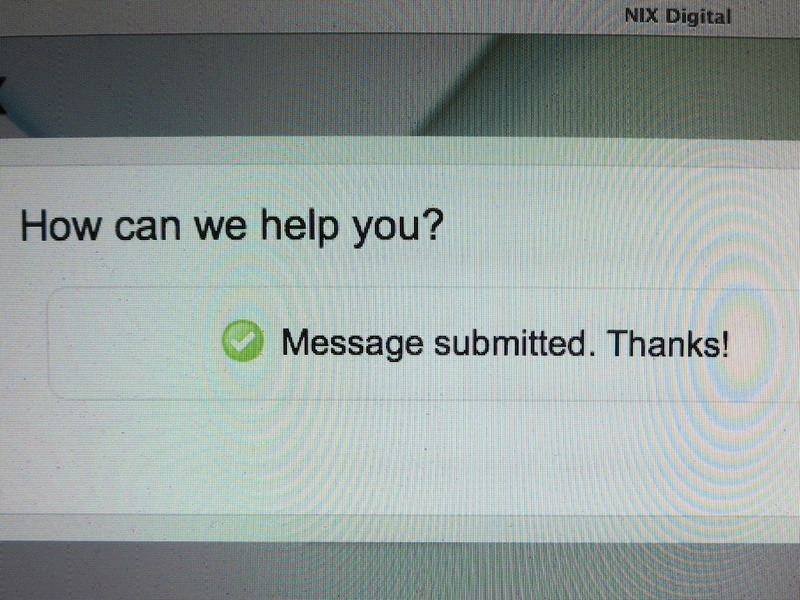 And nixplay’s tech support was speedy and friendly. And don’t forget the frame’s cool motion sensor, which enables the device to turn itself off when you’re not around! Add in some NIX to your life. I am having huge problems with my nix play cloud frame. This has been going on for over 2 weeks!! The frame keeps dropping playlists, loading only some of the photos in a playlist, loading playlists, but saying ‘no photos available’ etc!!! I have an open dialogue with the nixplay support team, but to cap it all today, after they downloaded a ‘fix’ and firmware update to my frame, I have seen little difference in the frames performance. When it DOES work, it is fab!!! BUT TODAY ANOTHER DEVELOPMENT!!!! I cannot acces the nixplay.com website!!! All platforms report the same issue ‘cannot connect, too many redirects’!!! What is that all about???? So now I cannot access my account and my photos!!!! Come on nixplay, get your act together or your product will fail because your server is not up to the job and cannot deliver!!!! SHAME!!!! Nix digital frame company is a China company actually , all products are developed and made in China , Nix is only registered in UK but no any R&D engineers in UK or US. the only advantage is lower prices, the quality is no good like you think. Hi Barrett! This is Alisha from the nixplay team! Thanks so much for your review and we’re glad you were able to get in touch with our customer service in order to address your issues, apologies once again for our server outage on your first day experience with the frame! Yes, everything is working well now. Your frame is a big hit with my family! Barrett, we are thinking about getting my 88 year old (non techy) mom one of these. It sounds like if we set it up, she can pretty much ignore it and just see new photos when we update the cloud. Is that right? Actually, you will get notified that you’ve got new pictures, then YOU will have to use a PC (android won’t work) to add them to the Playlist. Not exactly the most user friendly, not hard either, just menial and time consumingly annoying, and for sure grandma ain’t gonna be doing it. Actually, you will get notified that you’ve got new pictures, then YOU will have to use a PC (android won’t work with chrome or dolphin browsers) to add them to the Playlist. I used Team viewer to control my pc from my phone, and was only stymied for a little while until I figured out that their instructions to; “just move the pictures to the Playlist” without explaining AT ALL HOW, meant; left click and drag them to the Playlist.